Suffering from sciatica Pain? 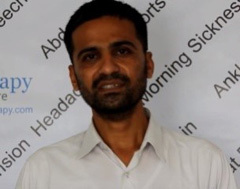 Walk painlessly with acupuncture specialist without drugs by MD with 40 years of experience in 4.5* star rated clinic in Nashik. No side effects! If you are having recurrent episodes of low back pain that is sudden, severe, shooting and that radiates from lower back to thigh, leg or foot; you are most probably suffering from sciatica. There may be constant tingling numbness or burning sensation, inability to stand, sit or walk. Pain may be aggravated by bending forward, sitting, lifting and twisting, coughing, sneezing or staining at stools. Causative factors may be pinching of sciatic nerve due to degeneration of inter-vertebral disc, spondylolisthesis of isthmus, spinal stenosis, piriformis muscle syndrome, prolapsed inter-vertebral disc (PID), dysfunction of sacroiliac joint or spondylolisthesis. Degeneration of disc Even though disc degeneration is a natural process of aging, some people may have one or more degenerated discs in the lower back which can irritate a nerve root and cause sciatica. Inflammatory proteins from inside the disc can irritate the nerve root(s) in the area. Isthmic Spondylolisthesis This is condition where a small stress fracture allows one vertebral body to slip forward on another; say, the L5 vertebra slips forward over lower S1 vertebra. This results into combination of disc space collapse, the fracture, and the vertebral body slipping forward. Thus the nerve fibre of sciatic nerve can get pinched and cause sciatic pain. Spinal Stenosis Lumbar spinal narrowing of the spinal canal can be common cause of sciatica. Lumbar spinal narrowing is common in elderly and related to natural aging in the spine. The narrowing typically results from a combination of one or more of the following pathology: enlarged facet joints, overgrowth of soft tissue, and a bulging disc placing pressure on the nerve roots, causing sciatica. Piriformis muscle syndrome The sciatic nerve runs under the Piriformis muscle in the buttock and can get irritated. If the Piriformis muscle irritates or pinches a nerve root that comprises the sciatic nerve, it can cause sciatica-type pain. Dysfunction of Sacroiliac joint Sacroiliac joint can also irritate the L5 nerve, which lies on top of the sacroiliac joint since it is located at the bottom of the spine can cause sciatica-type pain. History, clinical examination is usually sufficient to establish the diagnosis. Radiographic examinations like MRI are essential to correctly establish site, structural cause and status of disease. X ray is of NO USE in this condition. For optimum relief from sciatica pain acupuncture is most effective. Bed rest for one or two weeks followed by mobilisation. Rest has major role in conservative management of pain to get sciatica pain relief. 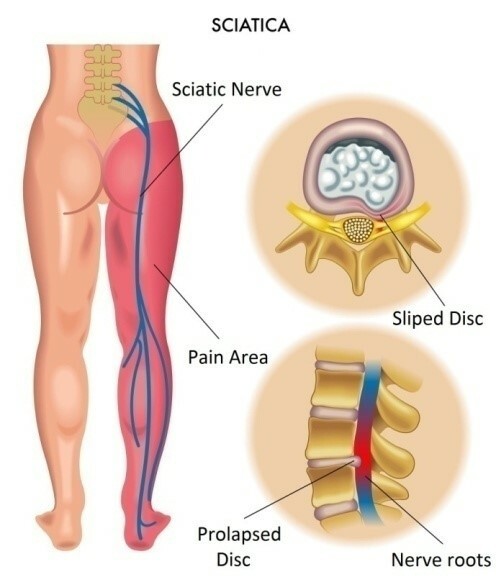 Much of initial pain of acute sciatica is due to inflammation therefore analgesics and steroids are prescribed. In spite of this fact, steroid injection in spine has no advantage over oral use, yet it is used unnecessarily routinely. Surgery is considered ONLY IF conservative treatment over month does not provide sciatic back pain relief or worsens the pain, wasting of muscle or there is restricted movement of straight leg raise test. Our extensive experience in this subject shows acupuncture treatment is most effective treatment for acute sciatica at present. Unfortunately it is least used method by allopathic doctors due their ignorance of procedure. 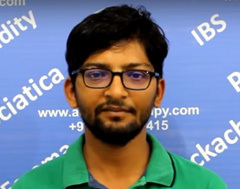 Acupuncture pain therapy has expertise in providing treatment for acute sciatica in Nashik as reported here in review. After treating thousands patients, we feel best option for sciatica symptoms and treatment is the acupuncture. This has been repeatedly substantiated by patients in their reviews.Rationally, sciatica cure would require treatment of one or more of above management elements. Again sciatica surgeries like spinal stenosis surgery, in present scenario gives relief to only 65% of patients. Rest of 35% of patents continue to suffer. It is interesting to see that these patients of surgeries who did not get relief; come back for acupuncture relief. And majority of failed surgical cases get relief with acupuncture. It is unfortunate these patients miss sciatica leg pain relief by acupuncture in initial stage and come for acupuncture therapy as last alternative. Although there is no sciatica cure or stenosis cure, acupuncture can give sciatica relief to reasonably comfortable level for our most of patients. 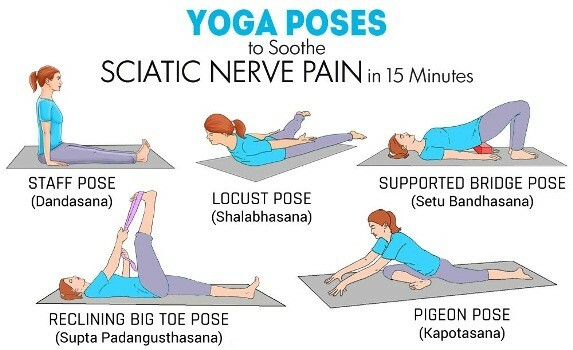 Sciatica treatment exercises All sciatica pain relief exercises are basically sciatica nerve exercises involving sciatic nerve and muscles supplied by it. Sciatic nerve pain relief exercises need to be initiated after careful assessment of whole clinical condition and severity of disease and complaints. Sciatica stretching should be started with minimal range and built up slowly. One must not push beyond comfortable limits. Exercises are advised according to condition of patients. Piriformis stretch, standing back bends, planks and reaches, hamstring extensions, stationary vibration machines are some of the exercises. Yoga treatment for sciatica pain, especially due to pyriformis muscle can be effective. Yoga involving forward bending or stretching back of legs can irritate sciatic nerve and exacerbate complaints. Tai Chi treatment for sciatica pain is effective. Qigong treatment for sciatica pain needs special training and can be useful tool of its management. Respect warning signal of pain from body when doing exercises. Exercises must be slowly progressive. Sudden load on muscles or must be avoided. Rule of gentle progress must not be forgotten. Patients report having taken Ayurvedic treatment for sciatica pain and report some relief also. Similarly, Homeopathic treatment for sciatica pain has also has some satisfied patients. Acupressure treatment for sciatica pain has limited scope.